We love ‘em. But have we mastered the art of cooking them yet? 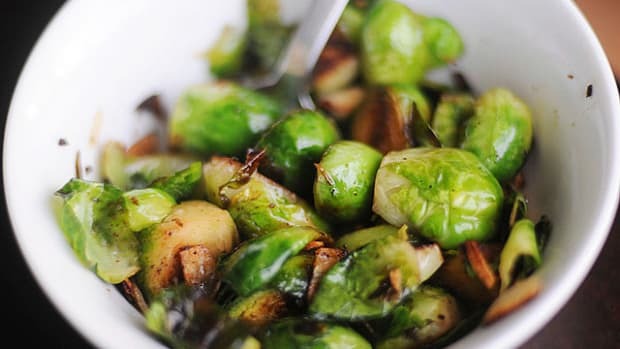 If you’re still on the Brussels sprouts kick—and why not?--they’re healthy, scrumptious, and in season now. But if you’re out of ways to cook them, don’t fret. 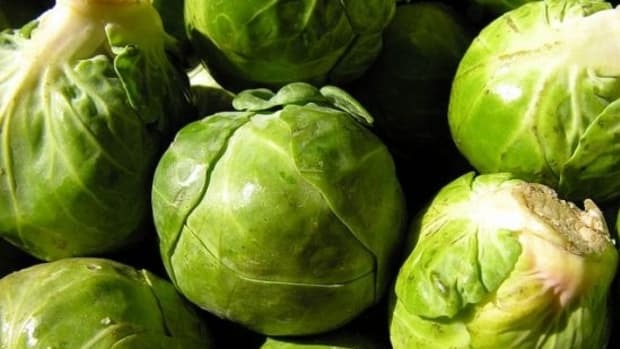 These nutritious cruciferous vegetables are surprisingly user-friendly. 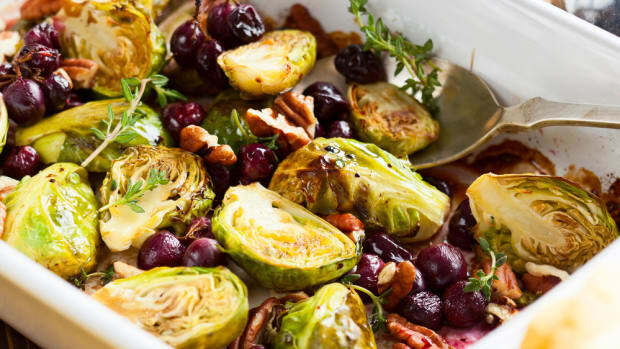 From pickles to grain, check out these 7 simple ideas for Brussels sprout recipes. Shave into a slaw. Make shaved Brussels sprout salad in an instant by placing the grating attachment to your food processor. Add halved Brussels sprouts and grate. For extra color and flavor, add any mixture of carrots, cabbage, onion, and kale as well. Toss with ample chopped fresh herbs like basil, cilantro, or parsley. 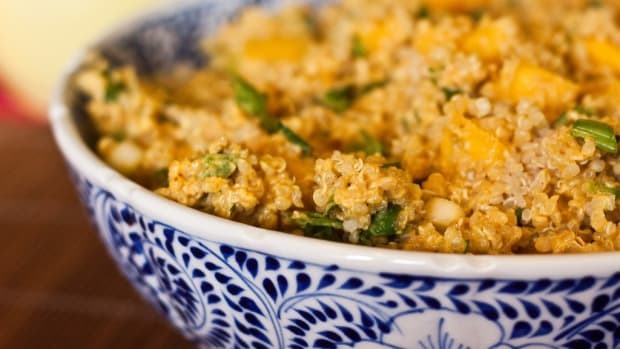 Finish off with dressing of choice (either creamy or vinaigrette will work!) and a handful of finely chopped nuts for crunch. Roast at high temps. High heat-roasted Brussels sprouts are a delicious, delicious thing—salty, a bit crunchy, and highly snackable. Plus, they’re a great accompaniment to any fall feast. Toss halved or finely chopped Brussels sprouts in ample olive oil and season with salt, pepper, and a few pinches of rosemary. Roast in a 400 degree F oven until lightly browned and softened, anywhere from 20 to 40 minutes, depending on how finely you’ve chopped the vegetables. Toss vegetables every 10 minutes as they cook to prevent burning. 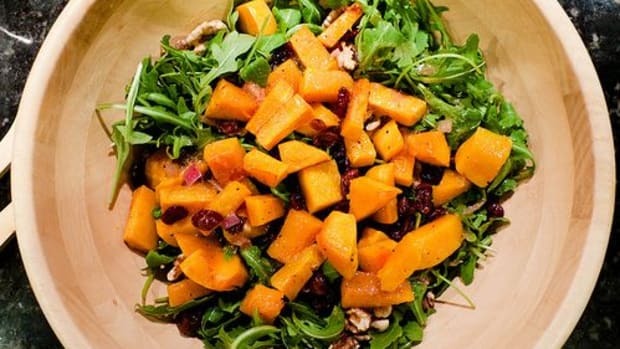 To finish off, toss with a splash of balsamic vinegar, chopped cooked bacon, a handful of sliced toasted almonds, or a sprinkle of parmesan cheese. Puree into a creamed soup. Do you like cream of broccoli soup? Then you’ll love this. 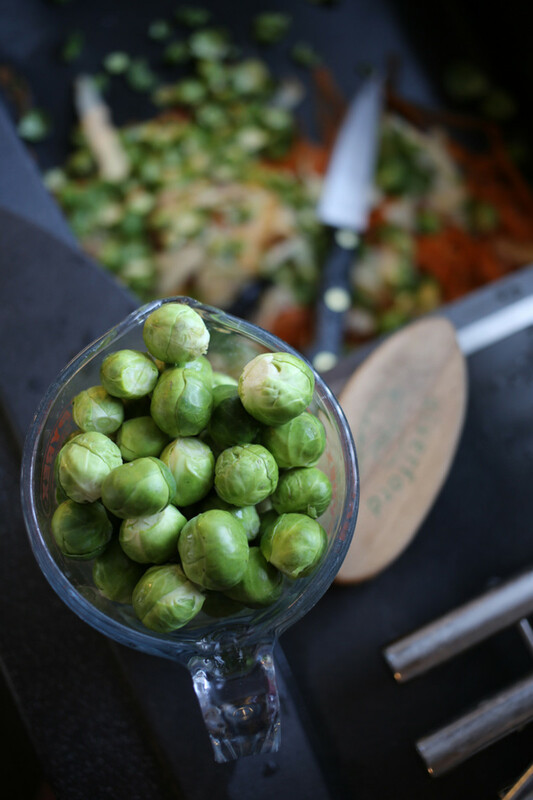 Sauté chopped carrots, onions, garlic, and Brussels sprouts in butter or olive oil until softened, then simmer with broth until very soft. Puree in a food processor or blender, adding just enough milk or non-dairy milk to make the soup thick and creamy. Season to taste and finish off with any of the following add-ins: goat cheese, hot sauce, lemon juice, and/or blue cheese. Pickle them. Who doesn’t love DIY pickles? Follow this easy tutorial for pickled vegetables here, using any form of Brussels sprouts that you like. 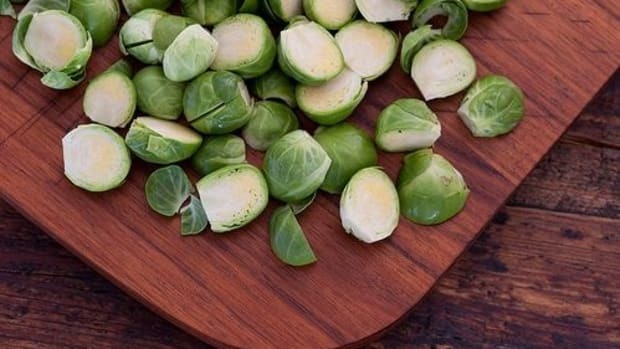 Whole or halved Brussels sprouts will give you a semi-crunchy snack that can be eaten in place of pickles. If you pickle finely shaved Brussels sprouts, however, you’ll get a more sauerkraut-like result that can be used as a condiment for sandwiches and meats. Dip into cheesy fondue. 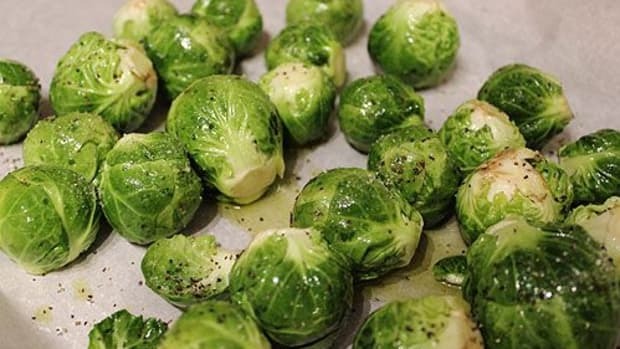 Steamed Brussels sprouts are a fantastic way to get your greens while indulging in a delightful fondue. Any cheesy or savory fondue with be right at home with steamed Brussels—simply cook them until just soft, and use fondue prongs to dip into fondue of choice. 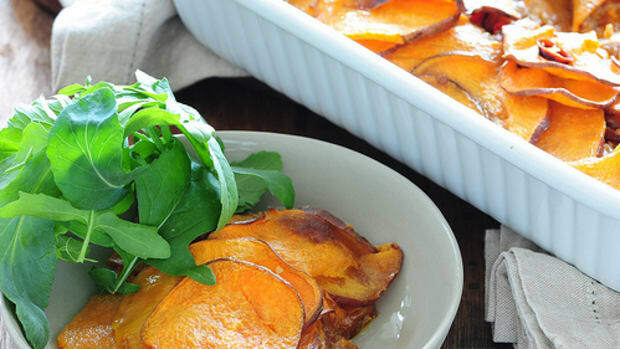 Layer into a baked gratin. You can really use any vegetable in a gratin recipe, and if you’re going the traditional cheesy route, Brussels are a perfect pick. Slice or shred Brussels sprouts to fill a casserole dish, and top with heavy cream, shredded cheese of choice, and a handful of whole grain breadcrumbs. Bake until gratin is browned and bubbly, and indulge. Enjoy raw with veggie dip. It might seem odd to nosh on raw Brussels sprouts whole, but basically they’re just like raw broccoli—and just as tasty in veggie dip. Whether you go for hummus, Ranch-style dip, or a bean dip, add a handful of raw Brussels to your veggie tray to switch things up and replace boring old broccoli.